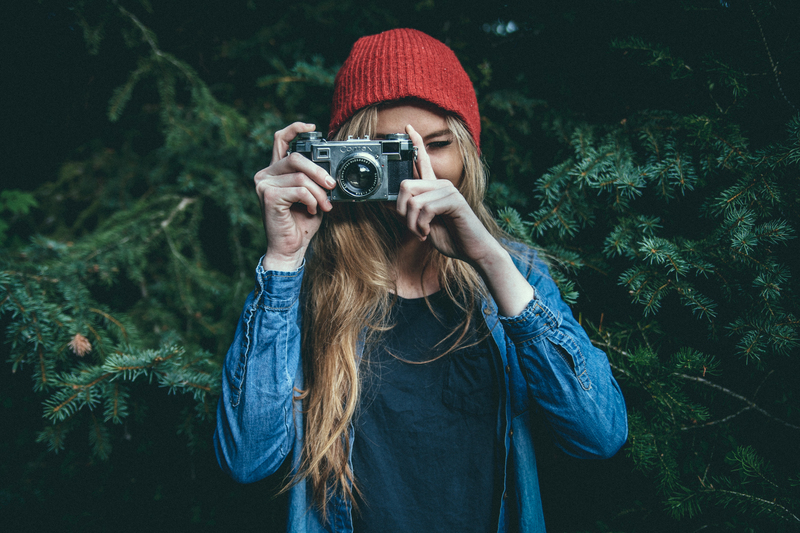 Mirrorless interchangeable lens cameras (ILC) are the rising industry in the market of digital cameras, and there is a reason for that. They come in all varieties, packing everything from Micro Four Thirds, APS-C to Full-Frame sensors. Some are designed for beginners, while other feature very impressive performance meant for enthusiasts and professionals. However, they all have one thing in common – compact design. They are the natural evolutionary step for photographer moving up from a traditional point-and-shoot compact system, a step which was missing until recently. This makes a closer option for an average consumer than a full-blown DSLR. In some cases, they will even outperform a DSLR in the same price range. , we would start off with the most obvious one – size and weight. Mirrorless cameras are lighter and smaller, thus falling in the compact category. Another usual suspect is the viewfinder, mirrorless cameras mostly offer Electronic View Finders (EVFs) compared to DSLRs which mostly use the optical viewfinder. EVFs have come a long way and now offer a comparable experience to their optical counterparts. 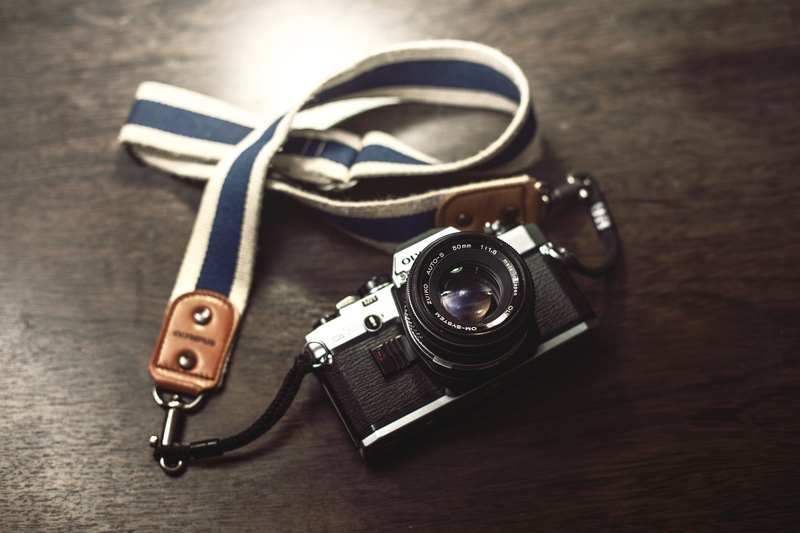 When it comes to image quality, DSLRs might still be the top choice for professionals. But that doesn’t mean mirrorless cameras can’t-do a fine job as well. Mirrorless cameras are also generally cheaper, which makes them a very attractive alternative to hefty DSLRs. In this review, we have prepared the Top five mirrorless cameras for you to choose from. Mainly they are mid to high-end performers of high quality, but not to worry, we have some interesting recommendations for those on a budget as well. Note that even though this review is written in 2018, not all these cameras actually come from 2018. Some are a year, or a few years older. But make no mistake, they are still the best choices around. See, unlike the smartphone market, where the next must-have big thing comes around and shades away from the previous model every year, digital camera market is a bit more conservative and realistic of user needs, which is a good thing. The Olympus OM-D E-M1 Mark II is a successor to 2013’s OM-D E-M1 Mirrorless camera. 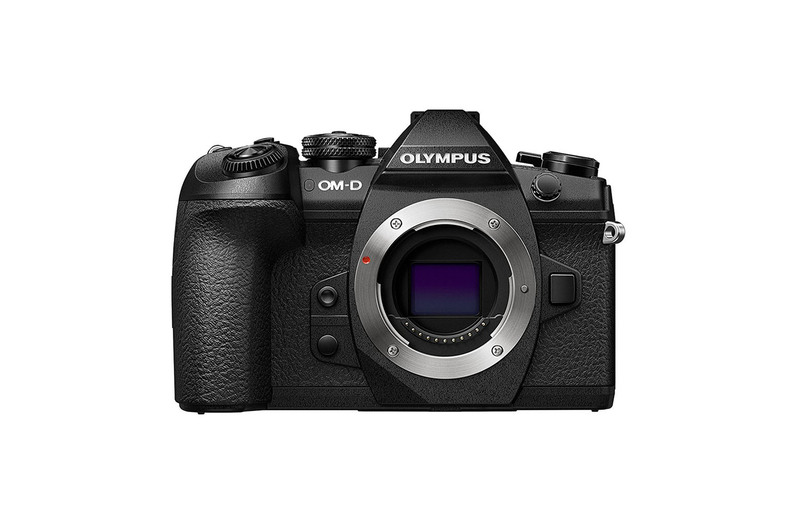 The new version brings upgrades that aim to close the weak spots the original E-M1 had as well as improvements that Olympus hope would give the EM-1 Mark II an edge over the competition. With its brand-new 20MP Four-Thirds CMOS sensor with 4K video, redesigned AF system, and not one but two image processors the flagship mirrorless is turning quite a few heads thanks to incredibly fast performance. Olympus doesn’t only hope to win over the existing mirrorless crowd from competition, but also to draw DSLR users to their Mirrorless flagship. That’s probably the reason E-M1 Mark II doesn’t really resemble much of the mirrorless camera in its class, rather it employs a true DSLR look and style with an important difference of being much, much smaller and lighter. The Mark II looks almost identical to its predecessor, using the same weather-sealed magnesium alloy casing and a range of manual dials. At 575g (20.25oz) and 134x91x67mm (5.28x3.58x2.64”) the new EM-1 is a bit heftier, though still considerably more compact than any DSLR of similar class. But once we look deeper, important differences start popping out. 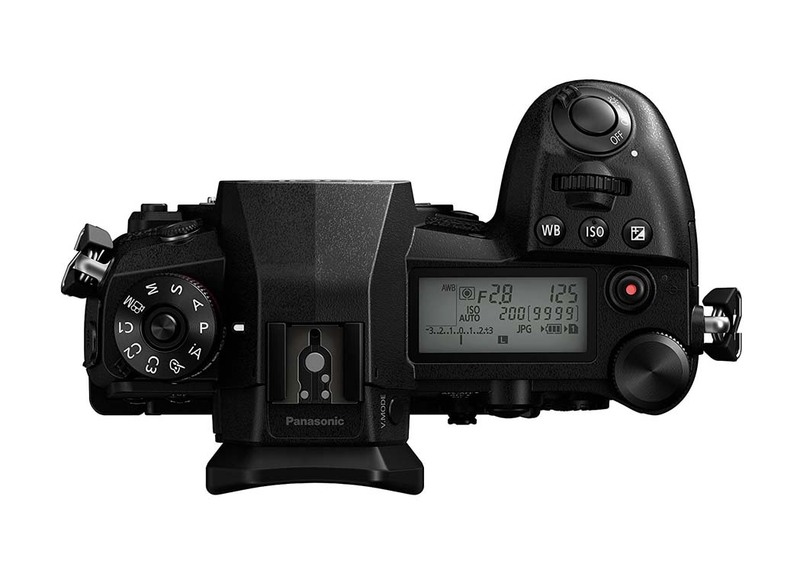 For example, the rear TFT LCD screen is fully-articulating, instead of just tilting like it was on the original E-M1. The 3-inch screen has 1m-dot resolution and is touch-capable. The Electronic Viewfinder (EVF) has 100% coverage, 2,3m-dot resolution and 1.48x magnification. Another new addition is dual MicroSD card slots, one for UHS-I and the other for UHS-II cards. The built-in IBIS (In-Body Image Stabilization) is twice as effective as the previous version, now allowing for 5.5 stops of stabilization. This means that you will be able to shoot sharp, blur-free photos even at very low shutter speeds – as low as 1-second. Being able to hold the shutter open that long will enable the sensor to collect a lot of light, which means you often won’t have to use higher ISO settings, which in turn means less noise and higher quality photos. Don’t mistake the high-end stabilization system for generosity from Olympus though. It is rather a necessity really, because of the Micro Four Thirds sensor which is smaller than APS-C sensors used by other in-class mirrorless cameras. The Micro 4/3 sensor does show struggle when dealing with very high ISOs as well as situations where there are a lot of bright highlights and dark shadows - dynamic range is somewhat limited. This mirrorless camera is extremely fast, too. Using the electronic shutter, it can capture 60FPS in single-focus in Pro Capture High mode (weird name, I know). How fast is that? You can basically record 60FPS short movie just by snapping stills. If, however you want to use continuous AF tracking, you’ll have to “settle” for 18FPS or 15FPS if you use the mechanical shutter. The EM-1 Mark II also takes advantage of Olympus’ famous High Res Pro mode which captures 50MP JPEGs and 80MPs RAW photos. Sounds amazing? Well, you’re not wrong. The camera is able to pull this of by using a series of tricks and special algorithms. You need to put the camera on a tripod and let it do the rest. It will capture 8 images at different positions within the sensor’s image stabilization system which are than merged together for the high megapixel final photo. Another area where the new Olympus shows impressive results is video capture. With the inclusion of not only 4K (4096x2060) resolution but also Digital Cinema Standard, the video is captured at a bitrate of 237 Mbps at 24FPS. Videos are clear and sharp with considerably less distortion than those of rival cameras. You can even record video in flat profile mode with subdued colors if you want to do color toning yourself in post-process. The Olympus OM-D EM-1 Mark II is truly an amazing camera that puts to shame many DSLRs simply by matching their performance at a much smaller form factor. It is a perfect setup for travelers who want the best out of their camera. Despite having a smaller sensor (Micro Four Thirds) compared to some competitor mirrorless cameras which use APS-C sensors or even full-blown DSLRs with full-frame sensors, the EM-1 Mark II holds its own thanks to some amazing technologies implemented by Olympus. We get an extremely effective built-in optical image stabilization, super-fast performance both in burst capture general camera use, superb 4K video, reliable and fast AF system and finally, the High Res Pro mode which captures huge image files. As you can see the EM-1 has something to show both for sports photography and landscape photography. In fact, we consider a great all-arounder. 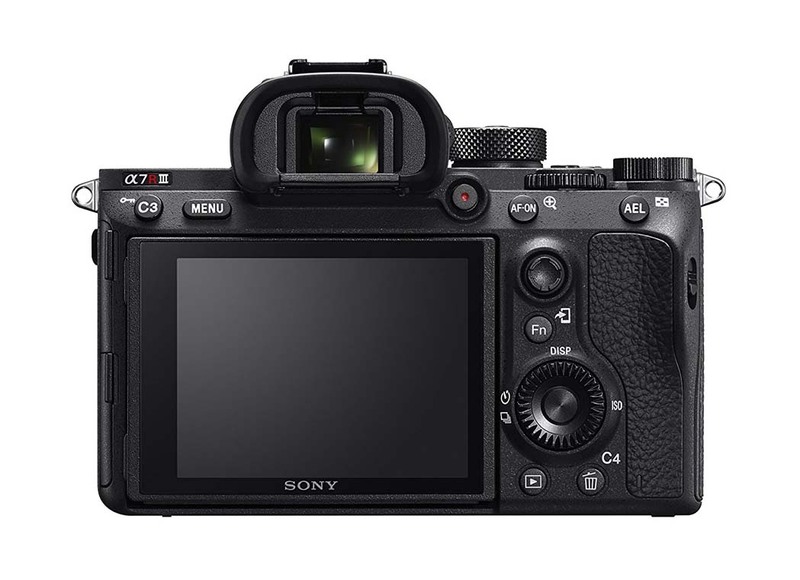 Sony A9 is a flagship mirrorless camera recently released by Sony. We are talking about a camera that will put to shame many high end DSLRs. This is no longer a matter of a mirrorless camera being more portable and easier to handle, with that being its man advantage over a DSLR. 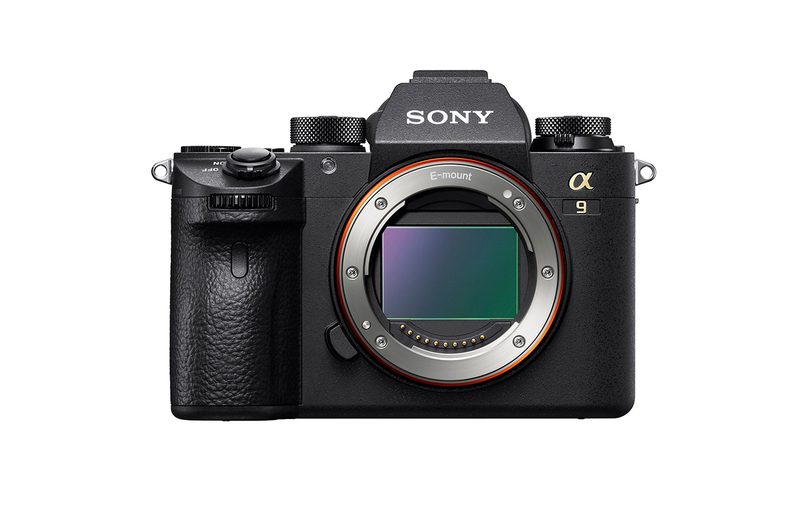 The A9 shows us at mirrorless cameras can be on par with the most powerful DSLRs. It has a 24.2MP Full-frame stacked CMOS sensor and boatload of powerful processors that go along with it in order to enable jaw-dropping performance in continuous shooting which tops at 20FPS. It is not hard to guess; this mirrorless beast is designed for high-speed shooting. 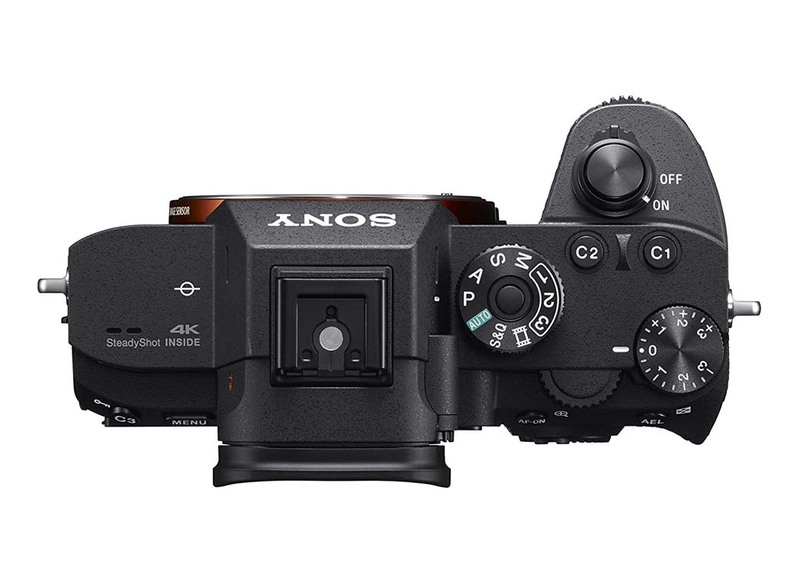 A9’s form factor seems to be based on Sony A7R II with changes to button placement and design. Foremost addition is the new AF joystick on the rear, perfectly suited for thumb operation during fast paced shooting. On the top plate we have three dials, two to the right of the viewfinder and one on the left side. On the far right we have an exposure compensation dial, and sitting next to it the main mode dial. In front of these we also get two C (custom) buttons. The dial on the left side is actually two dials stacked on top of each other, with the top one being for choosing the shooting mode (Single Photo, Slow, Medium and Fast Burst shooting and Bracketing mode, and Delay Timer mode). The bottom dial of the two is used for choosing between different Autofocus modes. 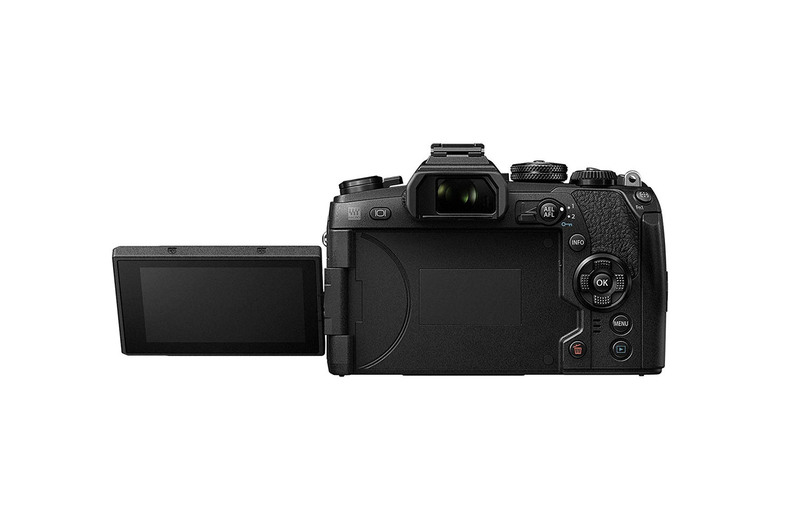 Compared to the Alpha 7R II, the A9 has a deeper grip with a bigger battery inside. 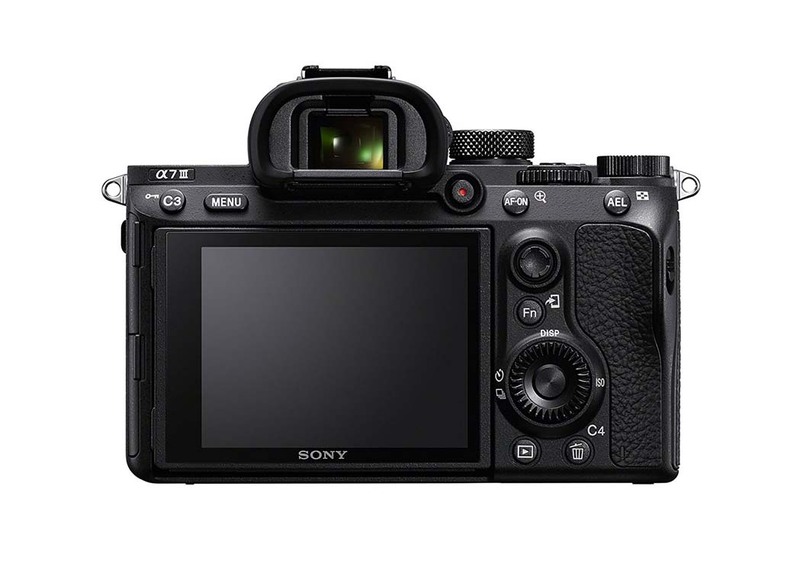 Sony A9 has an extremely responsive, sharp (3.68 million dots) Electronic Viewfinder (EVF) with 0.77x magnification. On the left side plate you’ll find weather-sealed compartments which host a range of connectivity options; microphone and headphone sockets, USB, HDMI, PC Flash sync and LAN cable socket. 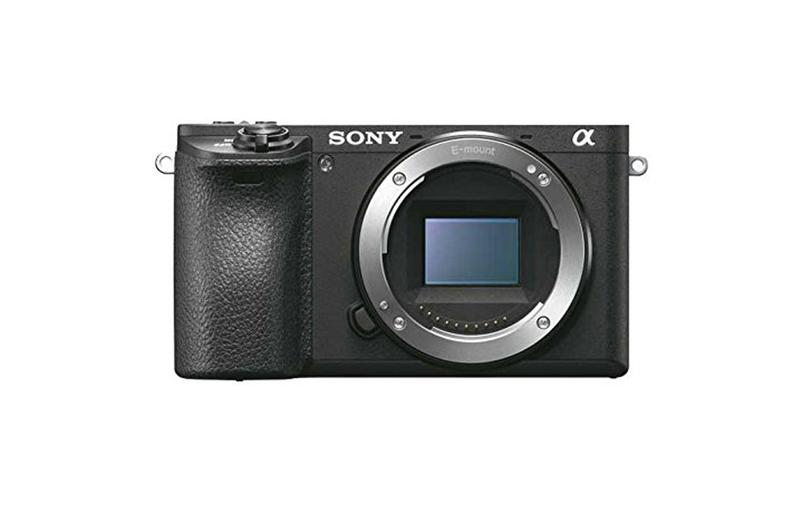 With Sony’s Bionz X processing and another processor specifically designed for autofocus handling, the A9’s buffer is extremely deep – allowing for up to 241 RAW images and 362 JPEGs before having to take a pause. The sensor’s AF system has whopping 693 phase-detect AF points spread across 93% of the sensor surface. No other camera can compare to these specifications. The Sony A9 also has two SD card slots which share the workload – for example, one saves JPEG and the other saves RAW files. At 20FPS, this proves to be a very powerful setup for any sports event. a double increase in stabilization performance as the two stabilization systems don’t always work perfectly well together. 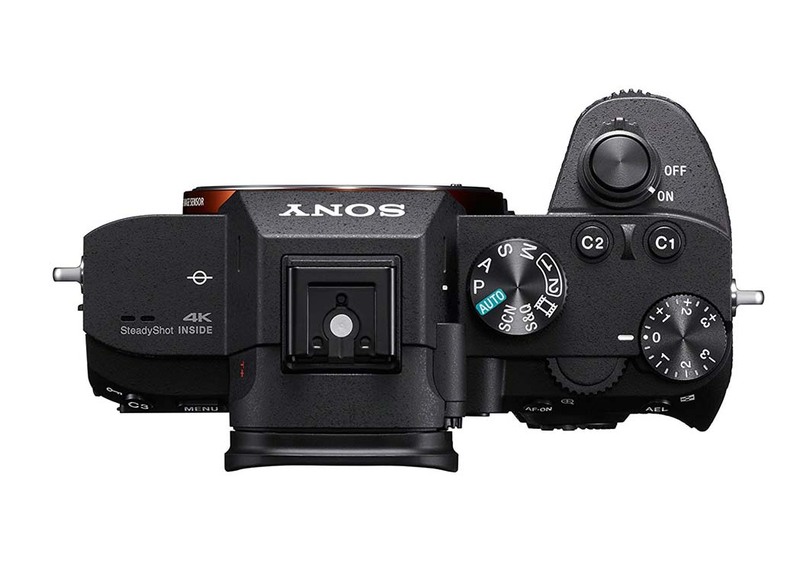 The Sony A9 is capable of Ultra HD video recording at 4K resolution (3840x2160). What’s more, the sensor actually captures 6K worth of pixel information which are than downsampled down to 4K for extra crisp video quality. The A9 is Sony’s first serious take on fast-shooters such as the Canon 1D-X Mark II and Nikon D5. These two have so far been the leaders in their collective market. However, with the A9 Sony proves you can get similar (and in some respect better) performance with a significantly smaller form factor and a lighter body. 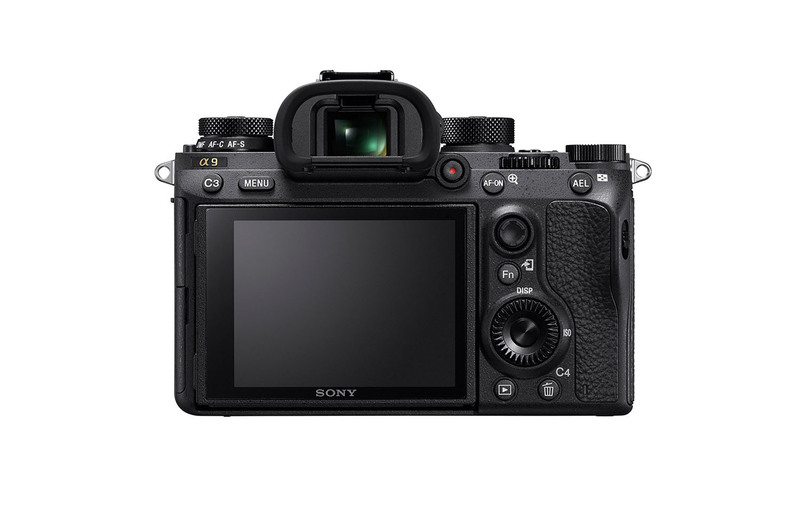 The Sony (Alpha) a6500 is company’s flagship mirrorless camera, featuring a 24MP ASP-C CMOS sensor. 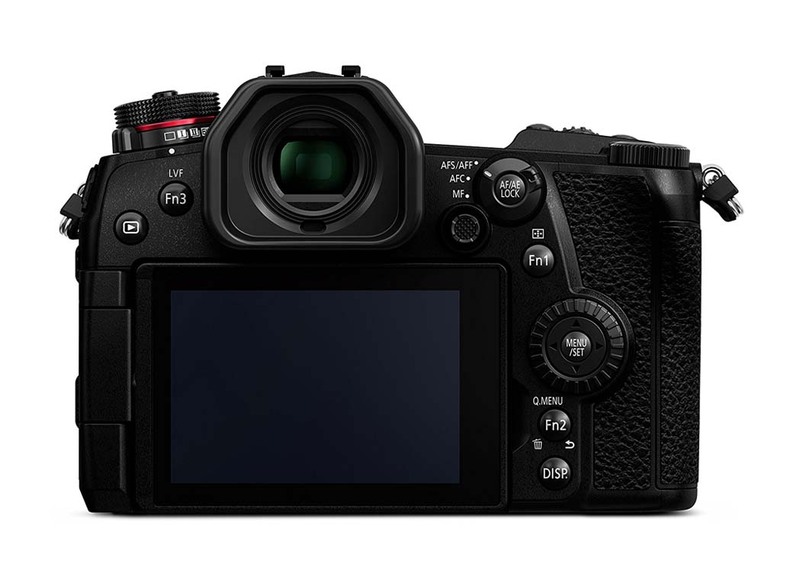 The a6500, compared to its predecessor brings two key improvements: Built-in Image Stabilization and touch capability to its rear LCD screen. On top of this we also get a new image processing chip called Front End LSI and other small improvements. 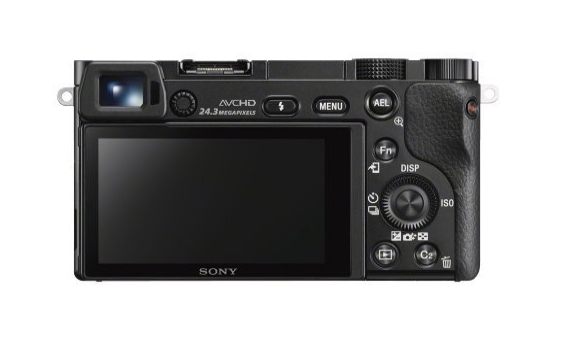 The body design, along with button placement and dial arrangement, remains largely unchanged compared to Sony a6000 and a6300. We still have two physical dials, one is the main mode dial and the other for changing values of set parameters. The top plate now hosts two C (custom) buttons which allow you to assign whatever functionality you wish for them. 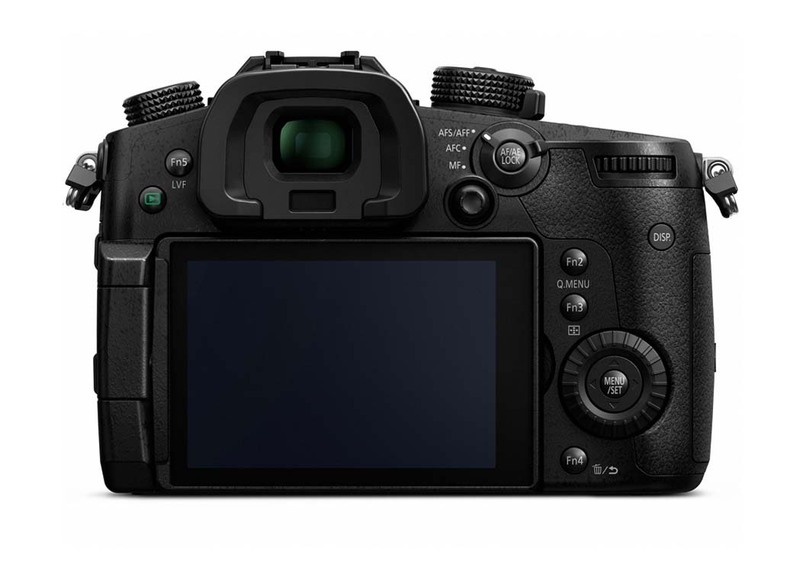 The a6300 only had one C button and it was placed on the rear of the camera. The top plate also houses a built-in flash along with a hot-shoe, should you wish to attach an external flash. The rear screen is a 3-inch 920k-dot rotate-able LCD with a touchscreen. The touchscreen can be used for precise AF point placement. On-screen menus have seen a complete overhaul with the a6500, which are now color-graded for easier navigation through what is an extensive menu/settings system. The new sensor has an impressive amount of available AF points – a total of 425 phase-detect points. The hybrid AF system of the a6500 is the same one we’ve seen one a6300. Overall, the autofocus performance on the Sony a6500 is impressive, though it’s settings and modes are less so – they tend to be unnecessarily complex and overwhelming. The a6500 can do 11FPS of continuous shooting (8FPS if you’re using Live View). The new chip however allows for a significantly deeper buffer which means you can now continuously shoot JPEGs for 29s or RAW + JPEGs for 9s. Battery life will last you for 350 shots per charge. Maximum shutter speed is at 1/4000 sec. Sony’s new stabilization system (IBIS) will provide you with 2.5 stops of added hand-held stability which stays true regardless of which lens you use. While this performance is nothing to brag about, it does show consistent results and is surely a great improvement over having no IBIS as is the case in the a6300. As far as image quality goes the a6500 produces excellent JPEGs with plenty of details and nice color reproduction. You will able to capture photos at up to ISO3200 without having to worry too much about noise. At ISO6400 noise does become significantly more noticeable but the results are still more than usable. We recommend avoiding ISO12800 above unless you are prepared for heavy noise reduction in post-processing and sacrificing details in the process. Native ISO range is ISO100 – ISO25600, which is further expandable to ISO51200. The Sony A6500 is an excellent mirrorless camera that will do great for travelers who find high end DSLRs too bulky. Though it doesn’t have a full frame sensor it is nonetheless suitable for professional photography thanks to Sony’s line of impressive and fast lenses. At 11FPS you are more than ready to shoot sports and fast action. 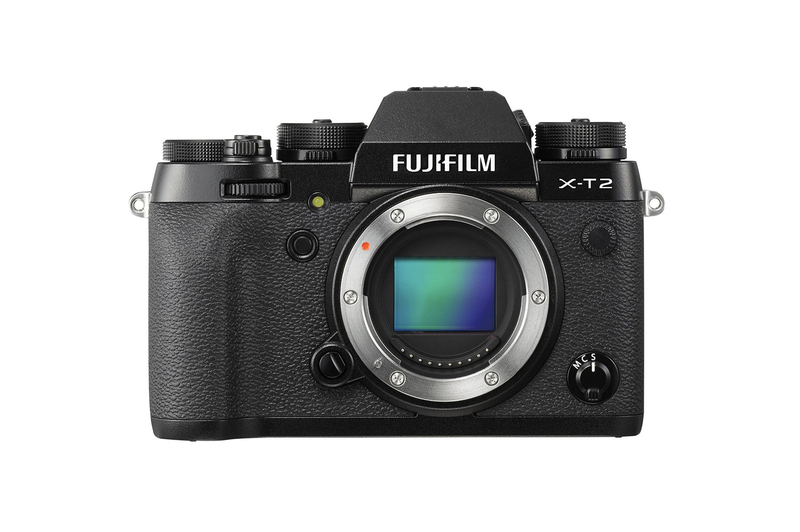 Fujifilm XT-2 is the latest in the short line of Fuji’s DSLR-style APS-C Mirrorless shooters. 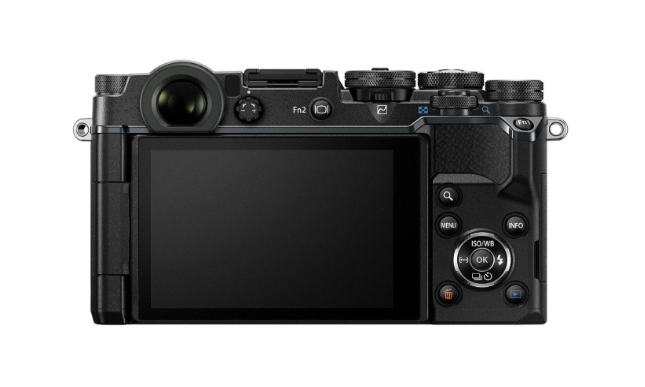 Fuji did not shy away from properly updating one of its top cameras either. Compared to its predecessor, the XT-2 comes with a hugely improved AF system and a whole new sensor, among other, smaller improvements. The new sensor is the same one we’ve seen in X-Pro 2, a 24.3 MP APS-C X-Trans III CMOS. This is not surprising since both the X-Pro 2 and the XT-2 share the seat of company's flagship cameras. You know the saying what’s not broken don’t fix it – we’re talking about the same magnesium-alloy, dust and moisture resistant body that reminds you just why did you pay the amount you did for this camera. It feels incredibly sturdy, capable taking a lot beating. 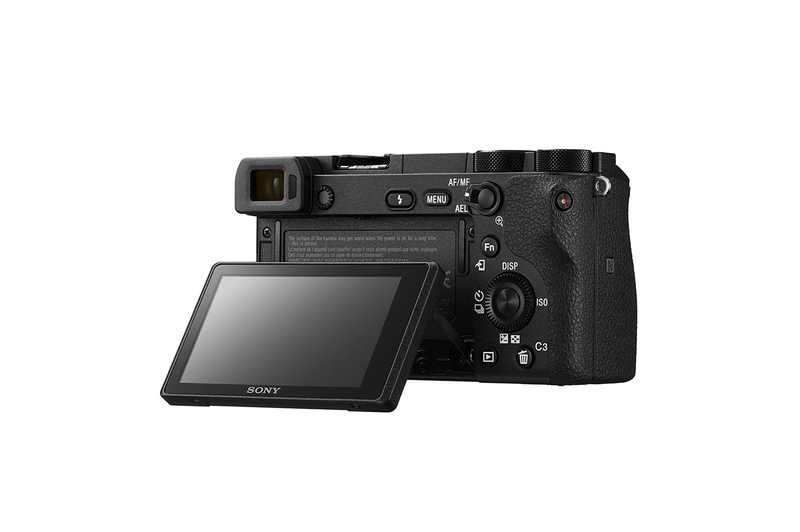 Overall design and button placement is very similar to XT-1, the predecessor. We still have that retro-style DSLR look and feel, and the metal plate still employs the manual dial controls for ISO, shutter speed and Exposure compensation. Actually, the most notable control difference is the addition of a small AF joystick to the rear of the camera. In total there are eight customizable buttons on this camera, though we were sad to see the dedicated video recording button removed. You can now access video recording via it's dedicated video mode on the main mode dial. The 3-inch 1k-dot LCD screen on the rear is articulative using two joints, effectively allowing you to flip and rotate it to any angle, short of a full 360-degree turn that would place the front of the screen against the camera body for protection. As we already said, one of the key improvements to the XT-2 compared to its predecessor is the new and improved AF system. The Fuji XT-2's sensor comes with a whopping total of 325 AF points, out of which 169 points are phase-detect AF points, which are spread out throughout the whole autofocus area. Improved Autofocus system also comes in form of expanded customizability. You can now choose between different Autofocus modes, each of which employs a specific set of AF points to deliver best results depending on the shooting scenario. We’ve also noticed significant improvement when it comes to continuous AF tracking of moving subjects. When it comes to image quality, the XT-2 is able to resolve an impressive amount of details, comparable even to the full frame sensor of the Canon 5D Mark IV. Images taken up to ISO1600 show no noticeable noise or detail smudging. At ISO3200 there is some noise but nothing too worrisome. Moving up to ISO6400 noise does being to take a noticeable toll on overall image quality, showing mild detail smudging due to noise reduction algorithms which are at play. 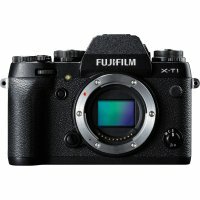 Fujifilm XT-2 again shows improvement over its predecessor, this time in the video compartment. The XT-2 is able to record 4K video at up to 30FPS for 10 straight minutes. It’s not just about the resolution either, as we’ve seen plenty of cameras which feature and brag about 4K-capability the feature is a little more than a gimmick. The XT-2 on the other hand can record true 4K at 100Mbps (the XT-1’s video topped at 34Mbps, for comparison). You’ll also be able to record 4K at 24FTS and 25FPS. And if you decide to purchase the additional battery grip, this will extend 4K recording time up to 30 minutes, along with tripling your overall battery life. It is worth noticing the optional battery grip also improves burst mode performance, allowing you to shoot stills at up to 11FPS instead of 8FPS. Fujifilm X-T2 is an excellent camera, one deserving of the Fuji flagship tag. It has one of the best, if not the best APS-C sensors on the market. Autofocus system and performance is state-of-the-art. Fuji has also improved video capabilities with its newest mirrorless making it a better all-around shooter. Really, we find it hard to find a photography scenario where the XT-2 would be cut short in terms of features and performance. It doesn’t have it all though, so if you’re looking for the convince of a touchscreen for example, you won’t find it here, although the screen is vary-angle. 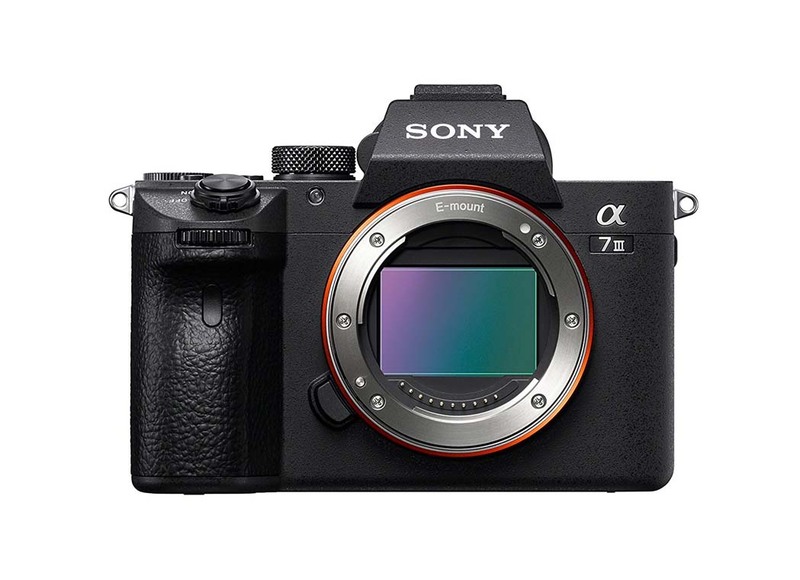 What would an article about best mirrorless cameras on the market be without one of the best of those types of cameras that was ever made, the Sony A7R III? This is one of those products that has managed to strengthen Sony’s dominance in terms of full-frame mirrorless cameras and it will be interesting to see if any other manufacturer comes close to giving them a run for their money and creating a product that is competitive enough (we’re talking about you, Canon and Nikon). The A7R III is a flagship device all the way and thus its price also reflects its capabilities which makes it a camera that will be able to find its way in the hands of only the professional and enthusiast photographers with deeper pockets. Still, this has always been the case with every professional camera out there and the price of getting the latest and greatest technology will always be above what most people can afford. Other than its high price, everything else included with the Sony A7R III is letting off a very positive vibe. First, there’s its sensor and its nothing short of brilliant when it comes to its characteristics. It gives out a very high resolution of 42 megapixels, excellent sharpness due to the lack of an AA filter, very balanced and rich colors and lastly, magnificent dynamic range and noise performance. It’s hard to judge this sensor and not run out of superlatives to describe what it’s really capable of. If image quality is your top priority when buying a new camera and money is not an issue, then you should already take A7R III into consideration as your next camera. What’s also great about the said sensor is that it’s still able to bring a very wide ISO range of 100-32000 (expandable to 102400) despite having a very high resolution and smaller pixels then other cameras that usual sit at the 24-megapixel range; it is a true showcase of what modern technology is doing to finally close the gap between high-resolution sensors and excellent noise performance. And the list of impressive technological feats surrounding this sensor doesn’t and here as Sony has also managed to couple it with a very effective sensor-shift image stabilization and give it an effective stabilization rating of 5.5 stops (which will enable you to shoot handheld at very low shutter speeds and also to get very smooth video footage as well). Moving away from all the talk about the camera sensor, let us move on to performance as it is yet another one of the A7R III’s strong suits. First, there’s the AF system; the one included is an of a hybrid variety (meaning that it includes both the contrast and phase detect focus point) and it has 399 of those. This will give you a big array of focus points that spans nicely across the image frame and will enable you to shoot moving subjects and track their motion with no issues at all. On top of that, the AF system itself is also pretty capable of adapting itself to different shooting conditions (meaning it can decide to use fast phase detect points for moving subjects and its contrast detect part for still subjects and shooting in low light) and also give very respectable performance when it comes to keeping up with all your focusing needs while recording videos (the phase detect points are to thank for such a positive trait). Still, the A7R III is not only a very capable camera in terms of video AF, but video recording in general thanks to its ability to shoot in 4K resolution (and also in 1080p at a framerate of up to 120 fps), the tilting 3-inch TFT LCD touchscreen with a resolution of 1,440,000 dots, the availability of both the microphone and headphone jacks and other secondary important features such as focus peaking, zebra patterns and log profiles. On top of that, the A7R III is equally capable in other areas due to its great battery life, fast 10-fps burst rate, the 100% accurate EVF with a magnification of 0.78x and the resolution of 3,686,400 dots, a camera body that’s packed with different controls and is also weather sealed, the 1/8000 sec maximum shutter speed, twin SD card slots that also support the UHS-II standard, Wi-Fi 802.11b/g/n, NFC, Bluetooth and more. The list just goes on and on. 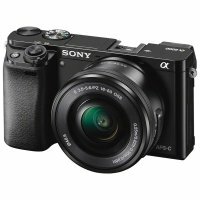 In a nutshell, the Sony Alpha A7R III is a modern flagship camera through and through and even by looking at it from a very critical standpoint it’s extremely hard to find anything wrong with it (except for the lack of the built-in flash and its very high price point, which surely won’t bother any of its potential buyers anyway). The Sony Alpha a6000 is a mirrorless interchangeable lens camera which was released two years ago but is still in production today. This camera is the successor to award-winning Alpha NEX-6 which is a great all-around affordable camera. 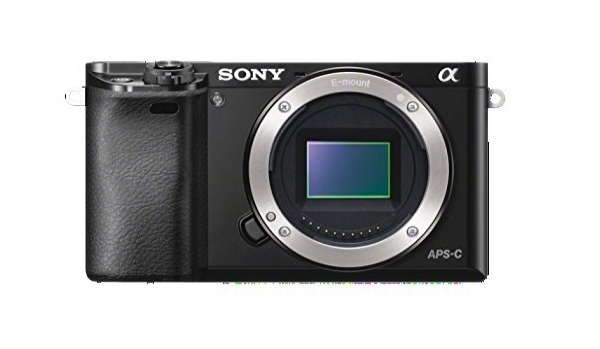 The Alpha a6000 improves upon its predecessor in almost every aspect. 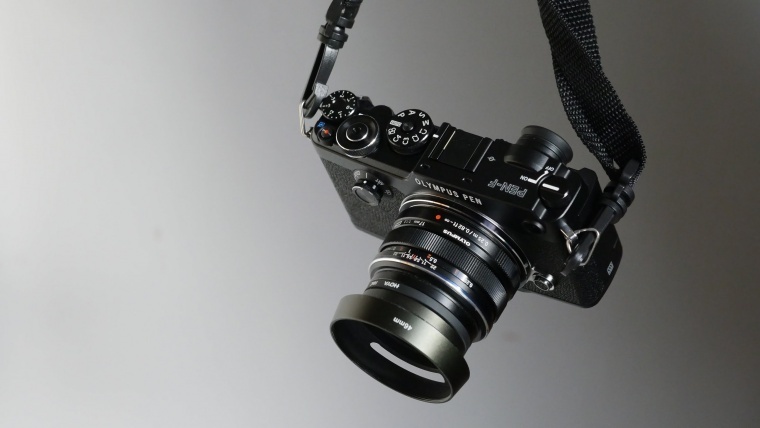 It features the standard design we've come to know from the Alpha NEX series with a few additions and small changes. The body is metal and feels like it could survive moderate impacts and drops without serious damage. It also packs a tilting 3-inch LCD screen, a built-in flash, WiFi and NFC. 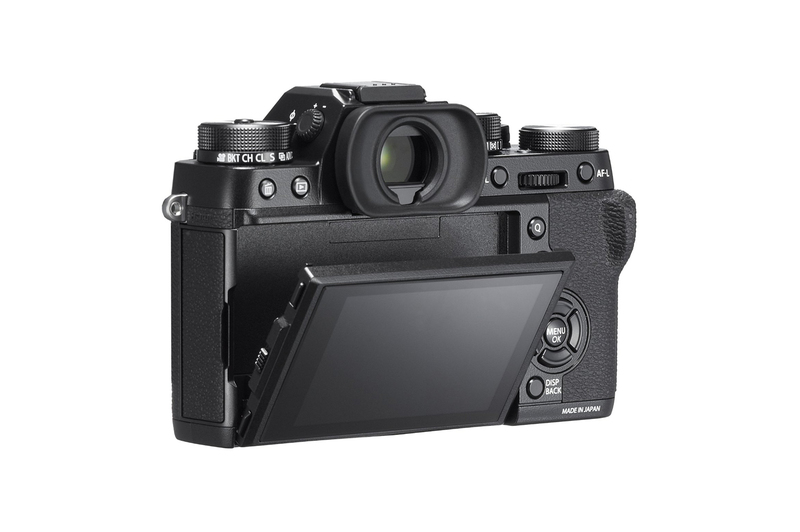 The sensor inside the a6000 is a 24 megapixel (MP) APS-C CMOS, powered by a Bionz X image processor which promises more details and less noise. At low ISO, this camera will produce images of excellent quality, quite impressive for this price range. Everything up to ISO 800 should be noise-free, crisp photos. Colors are generally natural looking with high accuracy. The same accuracy applies to white balance as well. Once you move above ISO 800 images gradually become more noisy and details become more smudged. This is one of the few examples where other cameras in the same class might produce better results. However, we have found that everything up to ISO 12800 is usable, even in print. Raw photos hold an incredible level of usable pixel information the shadows and highlights which you can play with to produce photos with a wide dynamic range. You will be able to record Full HD 1080p video at 60fps which is again excellent for this class of mirrorless camera. As with shooting photos, you are able to manually adjust all settings including exposure, ISO aperture during live video recording. When it comes performance, the Sony Alpha a6000 is able to put even some mid-range dSLRs to shame. It is able to shoot continuously at 11 frames per second, while using autofocus the whole time, for each shot. This is a super fast performance for a camera in this class. The autofocus (AF) system is incredibly fast, ensuring fast and reliable shooting. This is largely in thanks to 192 phase-detect and 25 contrast-detect AF points. Sony has even packed in a solid AF tracking mode which is called Lock-on AF. It is able to track moving subjects with high accuracy and speed. 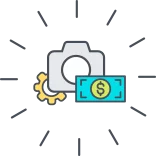 Every now and than in the digital camera consumer industry you can find a product that really does offer what every manufacturer advertises all the time – do more for less money. Sony Alpha a6000 is exactly that kind of a product. Almost everything from its specifications, to its features and performance, clearly outshines the competition. Don't get us wrong, it cannot do everything better than other cameras in this range, and you may still find another camera for similar price that will be better suited for you, but in all honesty, it is unlikely that you will. Excellent image quality, very fast rate of capture packed with a WiFi and NFC smartphone connectivity, at a price this low is really hard to beat. 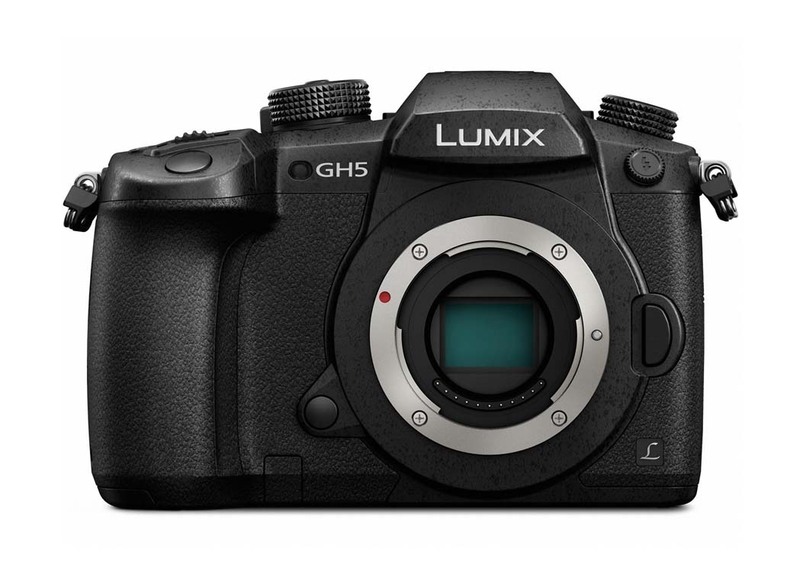 While it should be pretty obvious to most people that the Panasonic GH5 is heavily oriented on high-value video production (and it’s feature set and price point certainly confirm it) and that not many folks would buy it for its stills capabilities (even though they are pretty decent in their current form), it’s of no surprise that Panasonic has decided to create an additional camera that would appeal more to photographers and feature a few photo-centric features and functionalities (but also have a very capable movie mode and a lower price point) and thus, the Lumix DC-G9 came into existence. It features an entirely different design when compared to the GH5 and is more reminiscent of 90s analogue cameras (somewhat slimmer and lighter and with a little monochrome information LCD mounted on its top right side). You wouldn’t mistake it for a video camera, that’s for sure. When it comes to its imaging capabilities, at first glance they seem very similar to most micro 4/3 cameras as it does feature a very familiar 20-megapixel sensor that is known for its very decent color reproduction, dynamic range and noise performance, but if you give the G9 a second look you should notice some extra additions in form of the lack of an AA filter (bringing improved sharpness) and more importantly, the very interesting High-resolution mode. The latter provides a very interesting approach of dealing with the sensor’s somewhat limited resolution (at least if you compare it to bigger sensors) in providing you four times the native resolution (a total of 80 megapixels) by shifting the sensor itself in small and precise movements and combining the eight images it captures into one photo (it even works for RAW files). While it may sound as a gimmick and will require the use of a tripod for best results, it actually does work as advertised; the increase in detail and resolution over the standard photos is noticeable from the moment you take the 80-megapixel images to your computer and start zooming into them. Considering the fact, the same rule of using a tripod applies to every camera out there that has to deal with a large number of pixels, the High-resolution mode is actually an excellent addition to the G9’s imaging capabilities and really manages to lift the limitations of an otherwise smaller sensor. As is the case with the GH5, the G9 also features the latest impressive 5-axis in-body image stabilization that provides a shake reduction rating of up to 6.5 stops and can also use the stabilization inside your lens (thanks to the Dual I.S. 2 technology) to improve its effectiveness even further. This, of course, means that you’ll be able to get very good results in low light by lowering your shutter speeds and reducing overall noise in your images, as well as record quite steady videos no matter if you’re still or on the move. 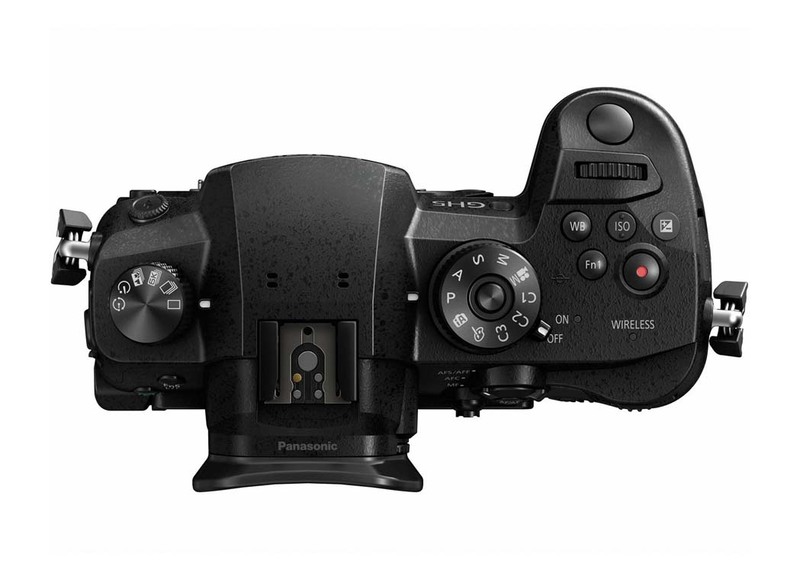 Since we are dealing with a camera that targets enthusiast users, it’s no wonder that Panasonic has decided to leave no corners uncovered and also equip it with enough quality features that will enable it to handle itself with no issues in terms of performance video recording and build quality. On the performance side of things, the Lumix G9 brings a capable 225-point contrast detect system, two choices of burst rates (20 fps with the use of an electronic and 9 fps with the use of a mechanical shutter; both of these work with continuous AF enabled), USB charging, support for high-speed SD cards that work with the UHS-II standards, 1/250 sec flash sync speed and in the end, a great choice of available shutter speeds ranging from 60 sec to as high as 1/32000 sec (1/8000 sec for the mechanical shutter). On the video production front, the Panasonic G9 includes all the important features: 4K 60 fps and 1080p 180 fps modes (but not the impressively high bit-rate options and unlimited 4K recording like the GH5 does), both the microphone and headphone jacks, 6K Photo mode, Zebra patterns, Focus peaking and a standard array of picture profiles (not as extensive set as the GH5). So, while you will be able to produce some lovely videos with the Panasonic G9, they still won’t be of the same quality or produced with the same set of tools as with the GH5. Still, the G9 does match its cousin in terms of other important features such as the magnesium alloy construction, environmental sealing, Wi-Fi, Bluetooth and dual card slots, but does differ in terms of its screen and the EVF (the GH5 has a bigger and sharper LCD, while EVF on the G9 is noticeably bigger in size). 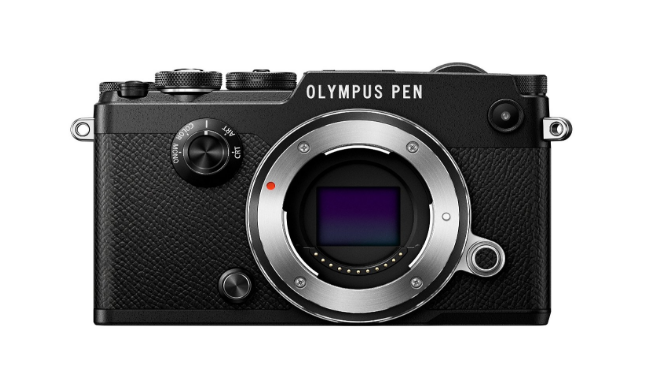 Olympus Pen-F is a digital remake of the homonymous 1963 film format camera Pen-F. The 21st century Pen-F is similar in design and in purpose, but unsurprisingly much different in everything else. There is a lot to say about its retro look, and we would like to start by saying it is beautiful, attractive and simply genius. Not that we haven't seen more ergonomic and more intuitive designs, far from it, but the very idea of making a high quality modern digital camera inside of a 50+ year old design is interesting to say the least. The body is made out of aluminum and magnesium, with a little plastic parts here and there. Sufficient to say, it is not only attractive but also built with premium quality in mind. It comes in two color combinations; black, and black and silver. We found the latter to be prettier in our humble eyes. You will find this camera has even more unique features, one of which being the metal dial on the front. This dial offers four different options, or presets if you will: Mono, Color, Art and Crt. These allow for quick switching between different shooting modes. For example, with Mono you will get to choose between several monochromatic modes, while Art offers a large number of Instagram-like filters. On the rear of the camera you'll find an LCD screen, a Electronic View Finder (EVF) and a couple of standard navigational buttons, which are in our opinion a bit too small and close to each other. Now lets talk about the actual camera. Packing a 20 megapixel (MP) Micro Four Thirds sensor which produces beautiful, sharp images. It is a good all-around camera with satisfying results whether you're shooting landscape, portrait, sport or low-light photography. Noise handling is quite good, even at higher ISO speeds. Performance-wise, the most notable new feature is the 5-axis in-body image stabilization, also known as IBIS. This is always a big plus, as you will always have stabilized shots regardless of which lens you use. We've found that this particular stabilization system works very well. We've taken photos at 1/10th of second with no loss in sharpness at all, which would otherwise require much higher ISO. Burst mode is able to shoot at 10 frames per second, which faster than what many mid-range, and even some high-end dSLRs can do. Unfortunately, video recording is limited to 1080p Full HD. We would have loved if it had 4K, which is becoming a standard for high-end compact cameras. Still, at least for us, lack of 4K is not a deal breaker – we're not there yet. Battery life is another minor downside, with mediocre results at around 300 shots per charge. Again, its not that bad that it could break the deal, but it could be better. Olympus Pen-F is a stylish camera for street photographers and others who would like to introduce some fashion to their cameras, while still retaining a capable, fast mirrorless camera with high image quality. 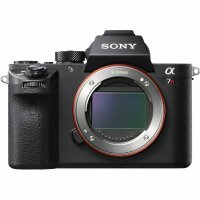 Those of you that have been very impressed with Sony’s A7R III camera but aren’t capable of affording to get one yourself will be happy to know that the company has prepared a perfect alternative for you in form of their successor to the previously popular and well-regarded A7 II model, the A7 III. Not only does it present itself as a very big upgrade over its older brother but also puts itself in an entirely new category (meaning its now closer to being a flagship offering than the one that’s more catered to a wider audience). 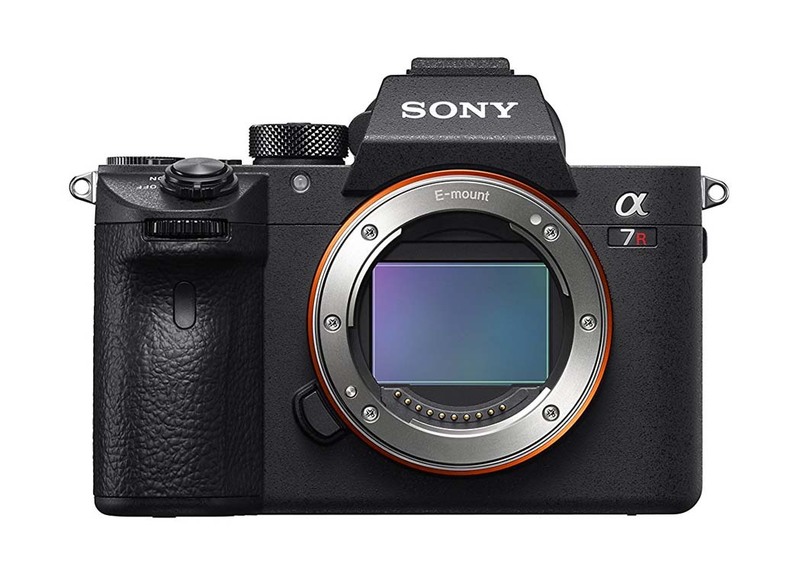 Depending on where you stand, this may be a good or a bad thing for you; if you’re coming from the previous model then the A7 III will be a worthy but pricey upgrade, but if you’ve decided to skip the A7 II and wait for a similarly priced newer model then you will be disappointed as the price between the two differs in a very noticeable way. So, as it stands right now, the A7 II remains as a very good option for those people who want to own a mirrorless full frame camera (but aren’t planning to spend a premium to get it) and the A7 III is reserved for those with a bigger budget (and bigger appetites) but still don’t want to invest as much in a new camera as they would have to get something like the A7R III. Now that we’ve got all of that out of the way, let us see what this new camera is all about and why both the reviewers and the photographers have fallen in love with it. As is the case with every camera out there, we need to start with the sensor. While it retains the same 24-megapixel resolution of the one found inside the A7 II, it does bring slightly improved dynamic range and noticeably better noise performance (this means that the landscape and low light shooters among you will really be able to make use of those improvements). Additionally, Sony has also removed the Optical Low Pass filter form the sensor itself and thus maximized its potential to produce very sharp photos even with its rather modest resolution when compared to a lot of cameras these days that have reached quite high megapixel counts. The A7 III also has the ability to shoot at native ISO values as high as 51200 and features a very effective Sensor-shift image stabilization that offers 5 stops of effectiveness. (those things certainly improve its standing as one awesome camera for shooting in dark conditions). Other than very compelling image quality, the A7 III also brings very compelling set of features that are directly related to its performance: a powerful Bioniz X processor, a 10 fps burst rate, a Hybrid AF system which consists of 693 focus points in total, a shutter speed range of 30 to 1/8000 sec, maximum flash sync speed of 1/250 sec and lastly, a long-lasting battery pack that will give you an endurance of around 710 shots (this kind of battery life was previously unimaginable on a mirrorless camera couple of years back and it’s good to see that we’re finally seeing some nice improvements in this area). Because of that highly advanced AF system, the A7 III also presents itself as a great choice for sports and action photographers who don’t need to shot at burst rates faster than 10 fps (especially due to the fact that you could always activate the integrated crop mode to give your lenses a lot more reach and make the A7 III essentially behave as a capable APS-C camera). In the end, no modern Sony mirrorless camera would be complete without a very good set of features that are oriented on video production and the story is no different this time. Everything from 4K 30 fps (that’s very sharp indeed thanks to it being oversampled from the internally recorded 6K footage) and 1080 120 fps recording, microphone and headphone jacks, great continuous AF performance, the aforementioned in-body image stabilization, Zebra patterns, Focus peaking, different picture profiles are included here and even more than that. After all of that, let us close this section of the article by listing some other notable features and functions found on the A7 III. You’ll be getting a magnesium alloy weather sealed body, an OLED electronic viewfinder with a magnification and a resolution of 2,359,296 dots, stereo microphones, USB 3.1 USB compatible and micro-HDMI ports, Wi-Fi, NFC, Bluetooth and the dual SD card slots that are also compatible with Sony’s Memory Stick format. The only obvious thing that is missing on the A7 III is a built-in flash, but we reckon that it won’t be such an issue for most people that are already heavily invested in different types of gear (and the external flash itself doesn’t necessarily have to be a large investment). 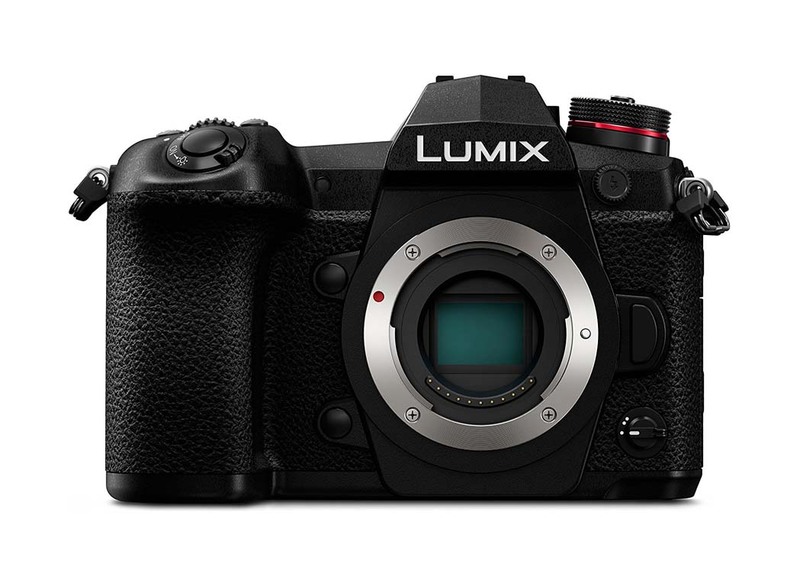 For many years now, Panasonic has done a great job in creating very compelling mirrorless cameras that are mostly built around micro 4/3 sensors. While many of cameras using these sensors may not sound too exciting to some professional photographers because of their tendency of not being able to keep up with other devices featuring bigger sensors in terms of raw image quality, they did become very popular because of their portability, video recording capabilities and the flexibility of being able to accept almost any type of a lens available (no matter if they’re the native 4/3 lenses or manual ones that are more than half a century old). This is where the Panasonic Lumix DC-GH5 comes into play since it’s one of the best micro 4/3 cameras that money can buy (especially if you’re interested in professional video production). It does sacrifice the usual portability benefits that these types of cameras are known for, but that is the part of its identity and focus on more rugged and durable design, as well as a control scheme and port selection that would make any enthusiast a very happy shooter. The sensor that lies at its heart is one of common 20-megapixel Four Thirds sensors that has been featured in a lot of modern 4/3 cameras and is known for being able to provide very decent image quality (despite the disadvantage in size it has over APS-C and full frame sensors). No matter if you’re shooting JPEG or RAW photos, you should be able to post-process them to your liking without having to sacrifice much of the image quality in the process. It also lacks an AA filter, which means that as long as you’re using a lens of decent quality you should be able to harness the full 20-megapixel resolution. While the available ISO range of 200-25600 certainly isn’t anything special in terms of today’s cameras, the GH5 does give you a lot of choice when it comes to shutter speed (60 - 1/8000 sec range for the mechanical shutter and an even faster maximum shutter speed of 1/16000 sec if you switch to the electronic one). The benefit of having a smaller and less demanding sensor also becomes apparent when you look at image stabilization and shooting speeds. For that reason, the GH5 includes an advanced 5-axis stabilization system (that can also work in tandem with your lenses that are already stabilized) and an excellent burst rate of 12 fps (although this camera’s AF system isn’t powerful enough for it to compete with more sports-oriented cameras out there). Still, despite it not being able to track moving subjects as well as some of its competitors, the 225-point contrast detect based AF system itself is still a very capable one and certainly fulfils its purpose of providing a performance worthy of a flagship camera such as the Panasonic GH5 itself. Now, if you’re one of those people that want to make a switch to a more serious ILC camera and you have already decided that you want one with a 4/3 sensor, than there are two main reasons why you could consider the GH5 as your next investment: its camera body and its video recording capabilities. There’s no doubt about it, this camera is as durable as it gets at its price point due to its magnesium alloy construction, weather sealing and an overall well-crafted exterior. It also incorporates things like a fully articulated 3.2-inch TFT LCD touchscreen with a resolution of 1,620,000 dots, a very sharp EVF with a resolution of 3,680,000 dots and a 1.52x magnification, Wi-Fi 802.11b/g/n/ac, Bluetooth 4.2 LE, USB 3.1 and HDMI ports, as well as UHS-II compatible dual SD card slots. Still, its main selling point has to be the sheer number of features it has that would allow you to do some serious video work and wow anyone that gets to watch the footage you’ve been working on. This is due to the fact that it includes both the obligatory microphone and headphone ports, log profiles, Zebra patterns, Focus peaking, the already mentioned 5-axis stabilization, but also one of the greatest arrays of available resolutions, framerates, bit-rates and formats you could choose from when recording videos. While many of those are already included on a lot of other professional cameras, the GH5 does get away with including three rare shooting modes: 4K at 60 fps, 4K at 30 fps but at an insane bit-rate of 400 Mbps and lastly, a 1080p 180p mode that will allow you to do some serious slow-motion recordings. Because of those modes and everything that we’ve mentioned before, the Panasonic GH5 is one of the most powerful movie-making cameras that money can buy (and by that, we mean a reasonable amount of money). I can vouch for the Sony A6000. Amazing image quality.